Skyrjarmur (Skyr-Crier) is the 8th of the 13 Icelandic Yule Lads. The Lads are the sons of Grýla and Leppalúði, two of the most hideous ogres in Icelandic folklore. The Yule Lads’ original role was to strike fear in the hearts of children. 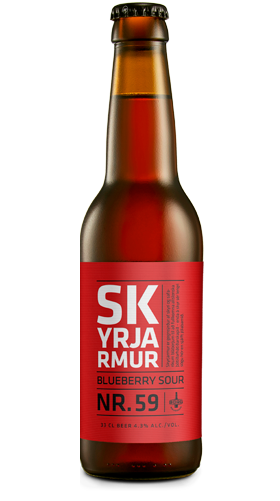 A true Spirit of Christmas Past, Skyrjarmur is a full bodied and juicy ale deeply soured with traditional Icelandic skyr and sweetened back by blueberries. After all, skyr has a longer history in Iceland than Baby-Jesus.